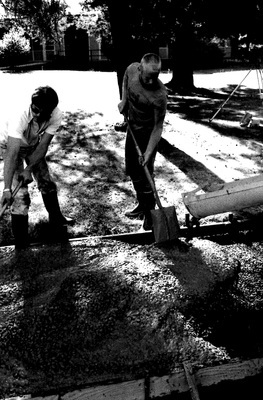 1985 Maintenance, New sidewalk on Meridian St. in front of Calder Center (Lemmons Center). Possibly VOW (Volunteers on Wheels) workers too. 1.Clyde Thomas 2.?